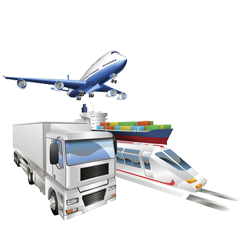 Storage and warehousing facilities are highly important, especially in the business world of today. This is because businesses sometimes need storage facilities for the vast inventory they have. Most businesses do not have a place of their own to store these inventories and raw materials, and in most cases, they should not have to worry about storing their inventory. Businesses need to focus on their core business processes. The rest should be left on professionals who can best handle your inventory. Storage and warehouse services offer a place for businesses to store their inventory. This extra space is highly beneficial for small and medium scale businesses that do not have or cannot afford a warehouse of their own to store this inventory. Companies can also reduce their overhead costs by outsourcing their warehousing needs, since businesses then would not have to hire staff to take care of their inventory. Other costs such as that of electricity and building maintenance are also eliminated. Companies who offer warehousing services specialize in that service, thereby giving you full attention when it comes to your inventory. They have a special team of dedicated staff members who look after your stored materials. Most of them also offer additional services such as packaging, picking up, and shipping your goods. Imagine if your warehouse was to take care of all your inventory related problems for you such as taking in your materials, receiving your orders, packing your products for shipping purposes, and then taking the responsibility for shipping these products out to your customers. Wouldn’t all these additional services benefit you in unimaginable ways? Companies and businesses looking to expand their operations can benefit a lot from these warehousing services. With these facilities, you do not have to worry about space, thus letting you mass-produce your goods to meet the high demands of consumers. Delivery time to distributors and retailers is also reduced considerably, thus increasing efficiency and productivity. With storage and warehousing facilities, businesses can focus on improving their core aspects instead of worrying about storing their products and raw materials. This is especially important for smaller businesses, which do not have the work force or facilities to help them with their inventory. If these businesses were to start worrying about their storage problems, they would lose their focus on more important matters that actually help run their business. Because of this distraction, competition would overtake them. Outsourcing the warehousing and storage services will give these businesses time to focus on what really matters. Storage and warehouse services offer a great deal of benefits to businesses. They save cost and time, and help businesses to focus on what is truly important to them. If you want your business to stay ahead of competition and improve business processes, then outsourcing your storage needs is something you should consider.